The plant Gurmar is native to India. In India, it is found in Karnataka, Kerala, Bihar and Bengal, Punjab, Haryana, Tamil Nadu, Andhra Pradesh, Punjab, Maharashtra, Madhya Pradesh, Uttar Pradesh. In Chhattisgarh, it is found in isolated places. Some other countries like Norway, Sweden, Denmark, Holland and Arab have also known the use of Gurmar for centuries. The plant is also grown in Africa. In the tropical and sub-tropical region, the plant grows in agro-climatic condition. There are several bioactive constituents present in Gurmar (Gudmar). They are gymnemic acid, flavones anthaquinones, Phytins, resins and so on. The anti-sweet activity of the plant remains till 2 hours of use. The chemical components promote the plant to be used in various ways. Though India is becoming the diabetic capital of the world, here is the hope, Gurmar! It is used for reducing blood sugar level since centuries. The paste of the root is used for the treatment of snake bites or wounds. It also brings down a high cholesterol level and manages triglyceride level. This is also useful for the treatment of jaundice. It is also used against halminthiasis. The leaf juice can be taken to avoid constipation. It increases lipid level in blood. The juice is also used to regulate the weight of the body. It is also useful for the treatment of hyperglycemia and anaemia. The plant extract is used as a liver tonic. The leaf juice is diurnal and hence helps in urination. It is also used to refresh the cardiac activities and circulate blood. It can be used as a refrigerant. The plant prevents dental plaque formation. It is also used to increase immunity. Traditionally, it is used for the treatment of gastric troubles. This is also used for the treatment of Cough, fever, dysuria and glycosuria. The extract is also used to kill the worms. The plant is also used to activate the uterus. This is also used as an appetizer. In Ayurveda, it is used as an expectorant, stimulant, laxative and emetic. The leaf extract cures eye problem and root bark is useful for the treatment of piles. 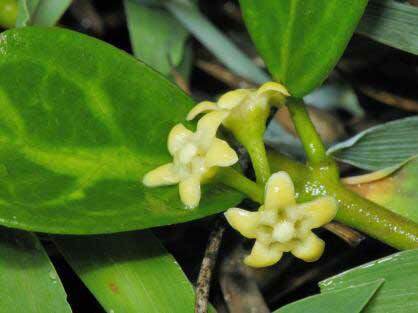 It is useful in the treatment of phlegm and other respiratory infections. It gives comfort in colic pain and cures dropsy. 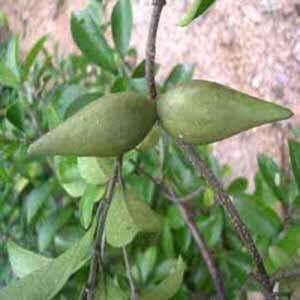 Gurmar is widely used in the natural treatment of Diabetes. Because of its usefulness, some users describe it as the magic of Nature Mother. Yet before consuming the leaves, one must consult a doctor to avoid the side effects.